If you’re visiting East Java, treat yourself to one of these fine accommodations within and near the city of Surabaya – these resorts will take you near mountains, beaches and even a safari! Why stay in a regular hotel when you can relax and enjoy these resorts that offer something special? So here are the top 5 unique Surabaya Resorts and East Java Accommodations every traveler needs to experience on their next trip to East Java, Indonesia. What could be better than drawing the curtains of your hotel room and being greeted by the coastal waters of East Java? 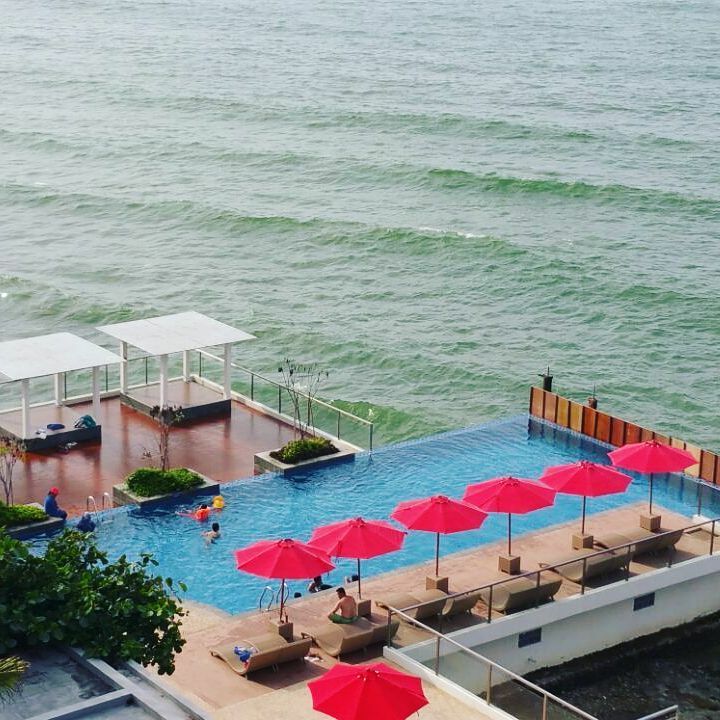 Just 1.5 hours away from Surabaya, this charming 3-star resort in Lamongan overlooks beautiful beaches and allows you to enjoy a gorgeous sunset in the evenings. The only resort in East Java with a seafront, you’ll be thrilled by their selection of rooms – from villas to deluxe rooms – that are spacious and clean. Take the time to enjoy their free sport facilities, or explore the Wisata Bahari Lamongan for a maritime tour that’s connected directly to Tanjung Kodok Beach Resort. The Maharani Zoo & Goa is also a stone throw’s away, so there won’t be a dull moment staying at this beach resort! 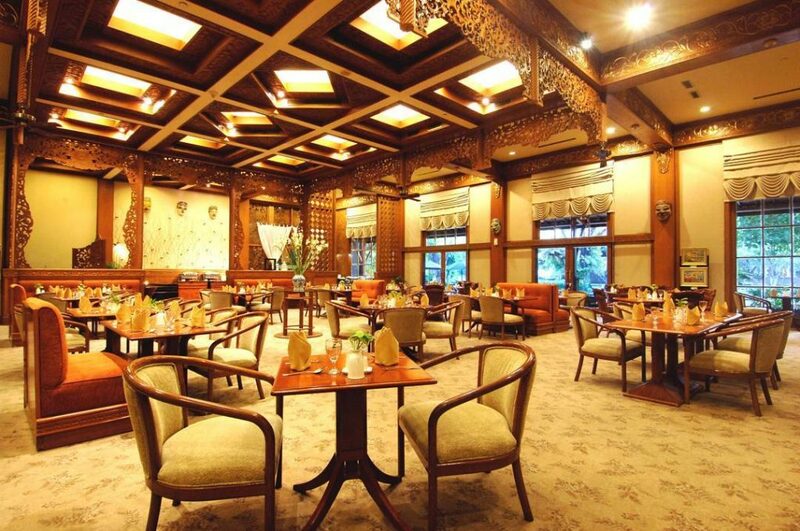 A well-deserved spot in our top 5 unique Surabaya resorts and east java accommodations. 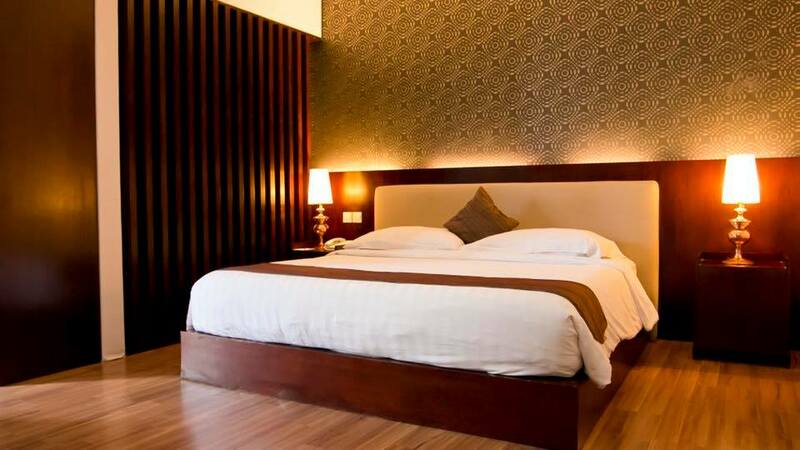 Considered the largest resort hotel in Surabaya, Singgasana Hotel is a haven from the hubbub of city life. 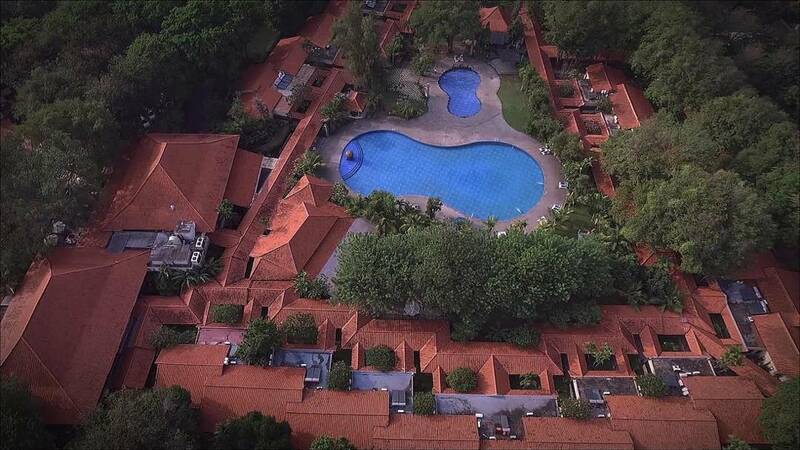 It boasts 120 rooms and 4 villas spread out amidst beautiful greenery and a free-form pool. It’s also located next to an 18-hole golf course! 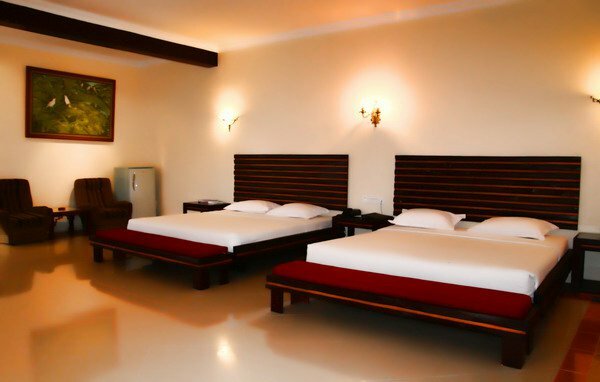 With an interesting traditional decor, the resort offers luxury accommodation at affordable prices and are equipped with facilities like a spa service, fitness corner and karaoke room. Only 20 minutes away from Juanda International Airport and minutes away from Surabaya Zoo, Royal Plaza and Surabaya Town Square, you will get to enjoy the city’s modern perks while still being able to busk in a relaxing oasis at the resort. 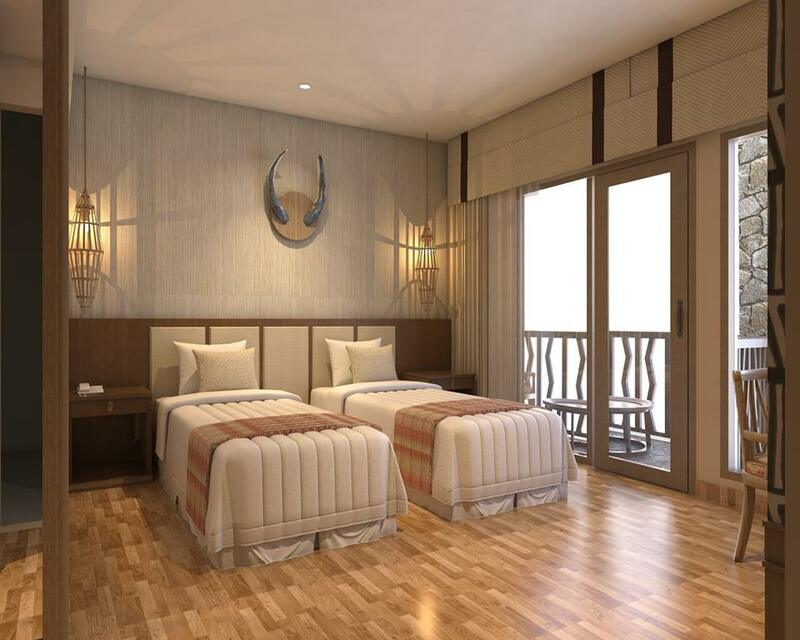 A comprehensive and quality surabaya resort hotel! When you think of ‘safari’, East Java may not be the first place that pops in your head, but at Baobab Safari Resort in Prigen, you’ll feel like you’ve landed in a savannah in Africa! Situated near Mount Arjuna, this resort is a special place where you can see cape buffaloes, rhinoceroses, zebras, giraffes and other wildlife roaming the land. All 148 rooms are sleek with an earthly palette to match the safari-themed resort and facilities include a pool, jogging track and spa. Also located within the Prigen Safari Park area, you’ll be able to engage in giraffe-feeding and enjoy night walks with the family. An overnight stay at Baobab Safari Resort will be a memorable experience unlike any other! Can’t get any more unique and exciting than this top east java accommodation. A luxurious resort in Pasuruan, Taman Dayu Golf Club & Resort has one of the most stunning golf courses in Indonesia. 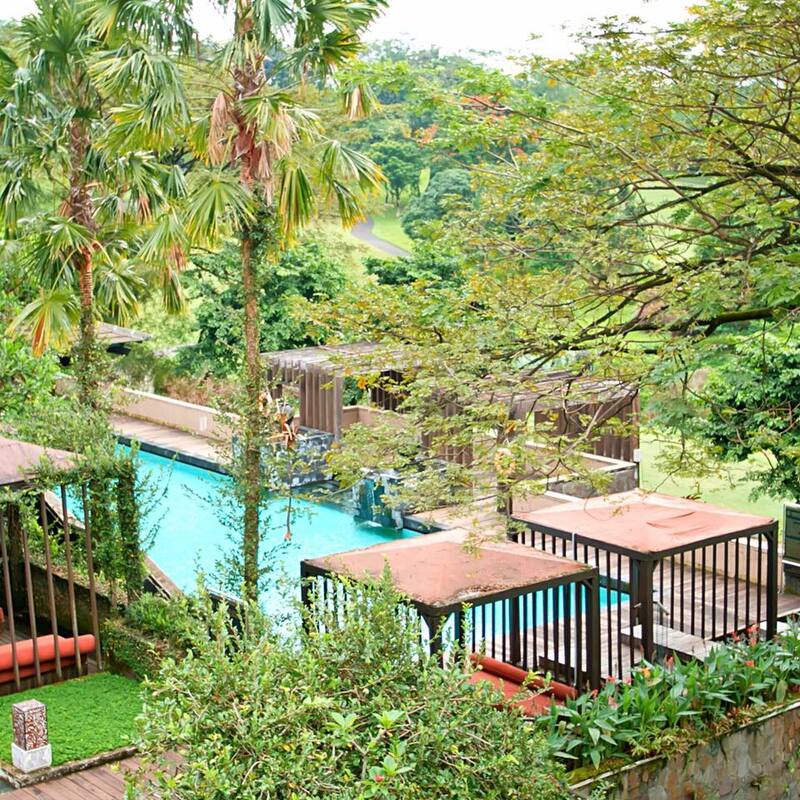 Accessible from Surabaya, you can indulge in the calm atmosphere at this resort within an hour’s drive from the city. 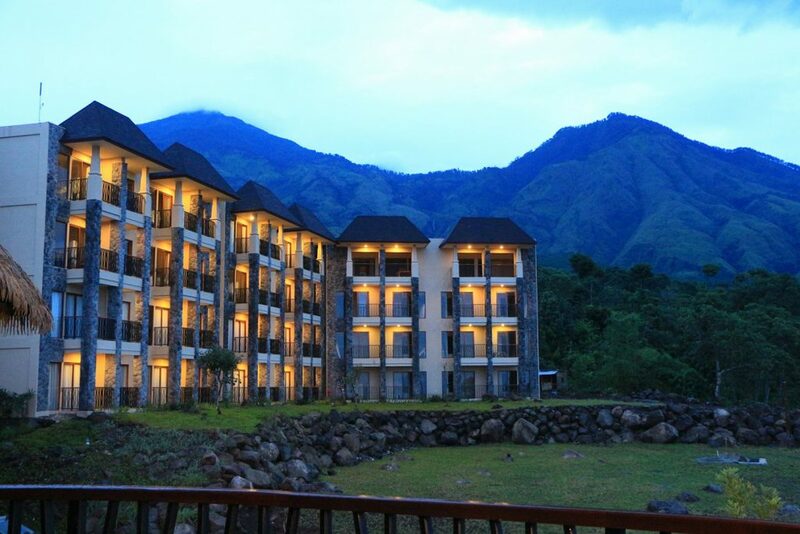 A unique feature of this resort lies in the beauty of the surrounding mountains. 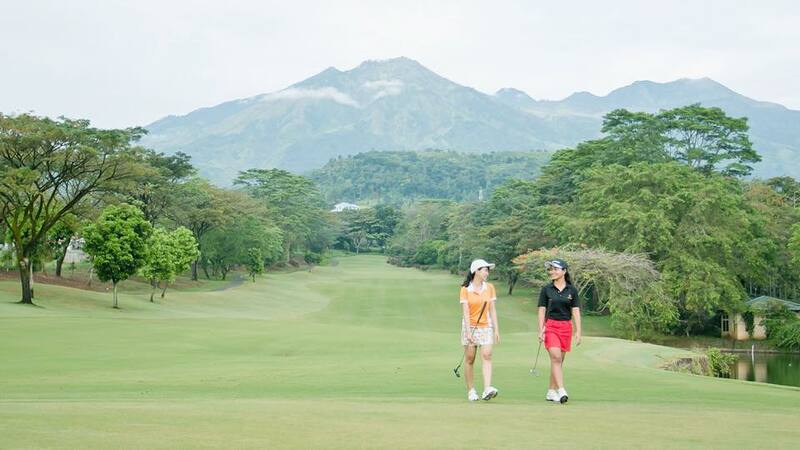 With the splendid view of Mount Semeru, Arjuno and Welirang from the golf course, the panoramic view is a treat for golfers or guests of Taman Dayu. This resort only has 38 rooms but each is beautiful in its elegance and simplicity. For travelers in need of a mix of relaxation and recreation, this resort has a variety of facilities including a gym, water park and several pools, and offers mountain activities. If you wish you skip golfing, you can still experience the views of the mountains right from the resort’s restaurant that overlooks the golf course. A sight you wouldn’t want to miss! 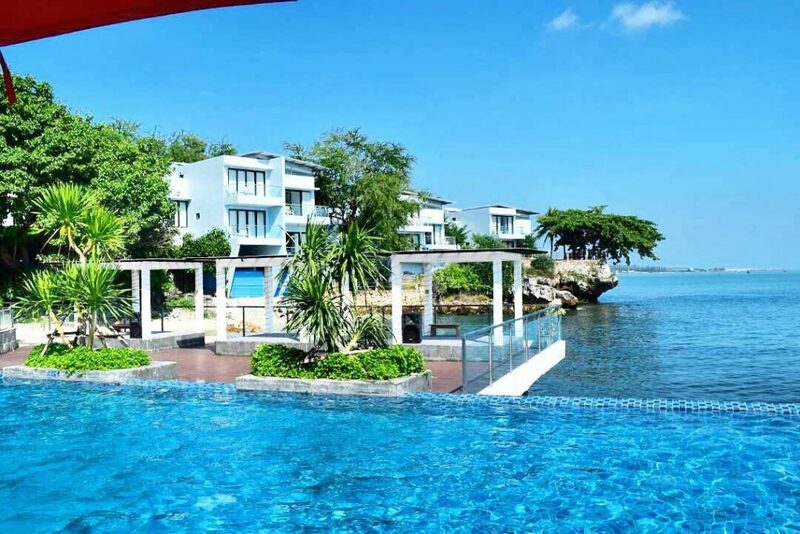 This is by far one of the most popular and upscale Surabaya resorts. Situated in Trawas just 60 km from Surabaya, Vanda Gardenia is a hillside resort hotel that exudes serenity and tranquility of the surrounding area. 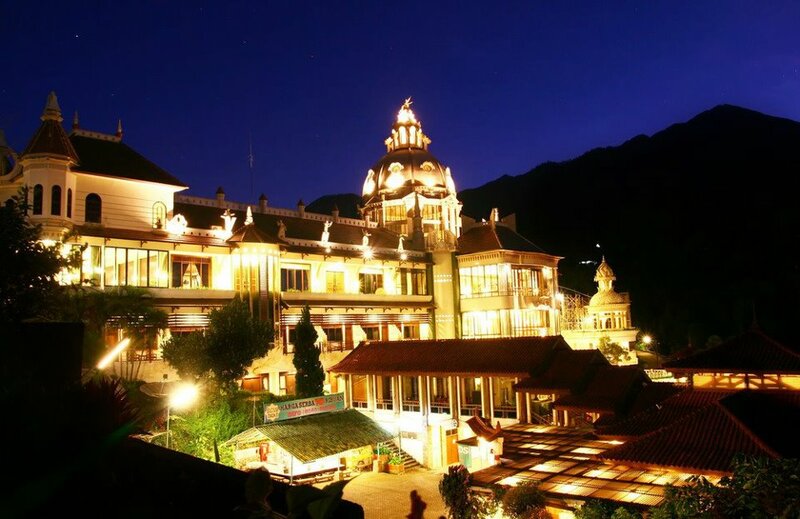 Exhibiting a handsome and grand architectural design, this resort is conveniently accessible to East Java’s best sites like Kakek Bodo and Putuk Truno waterfalls, and Jawi Temple. Standing at 800 metres above the ground, their spacious rooms offer balconies that allow you to take in the cool mountain breeze and views. Vanda Gardenia also comes equipped with a spa, swimming pool, cafe, fitness centre and tennis court for all your recreation and relaxation needs. This resort hotel is one of the most underrated East Java accommodations in the region. So give it a try if you can!